Over 600,000 words of written and hours of video content by top players sorted by topic to help you improve! Gain access to all our premium content by some of the best players in the world! A tier list of the most popular Auto Chess strategies created April/2019 with the help of Matt - a Queen rank player from Australia! 4 Lessons we can learn from Open AI 5's recent event versus OG. 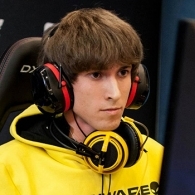 Who is the best Dota player of all time in the west? Check out our top 10 list and share your opinion! Five lessons from the Dreamleague Major Grand Finals that we can take to our own pubs. Chaos had a surprising run in the Dreamleague Major. Let's break down their best strategy! The clash of those two T1 giants is likely to define the meta not only on the pro scene, but also in pubs. What can we learn from the latest DAC Twitch Rivals? A tournament and meta overview as well as a detail game analysis of Hafu's game 4 losing strat victory. A meta-analysis of the Starladder ImbaTV minor in anticipation of the Dreamleague Major. I had the chance to have a chill Discord conversation with lizZard about his experience as a pro player and caster and his thoughts on the patch and current meta.